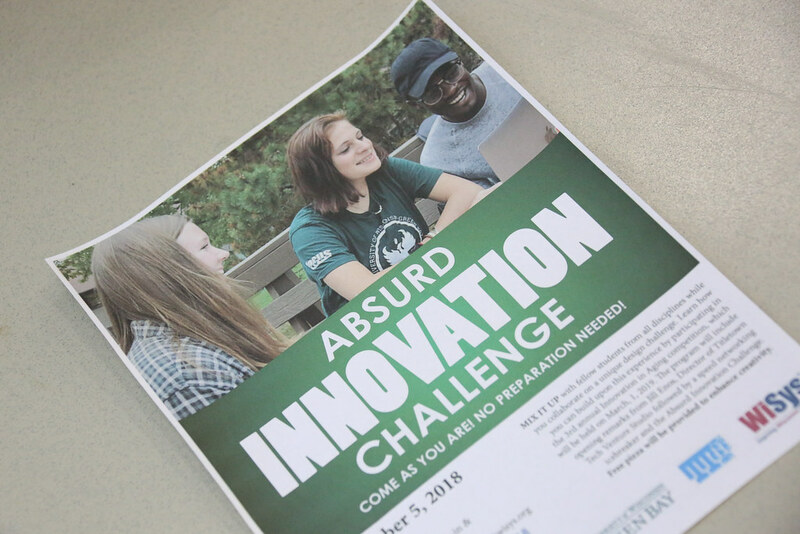 UW-Green Bay students participated in an “Absurd Innovation Challenge” that kicked-off Startup Week Green Bay on Monday Nov. 5. 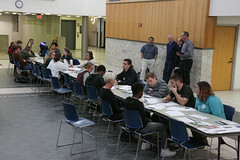 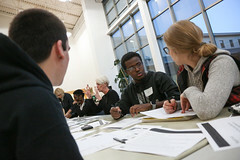 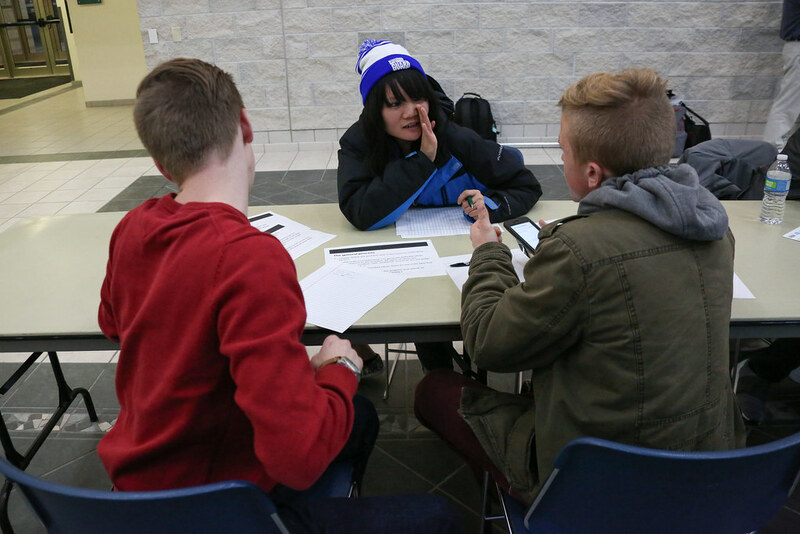 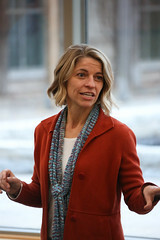 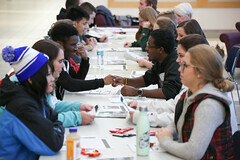 Following remarks from Jill Enos of Titletown Tech, students worked in teams to complete an absurd challenge. 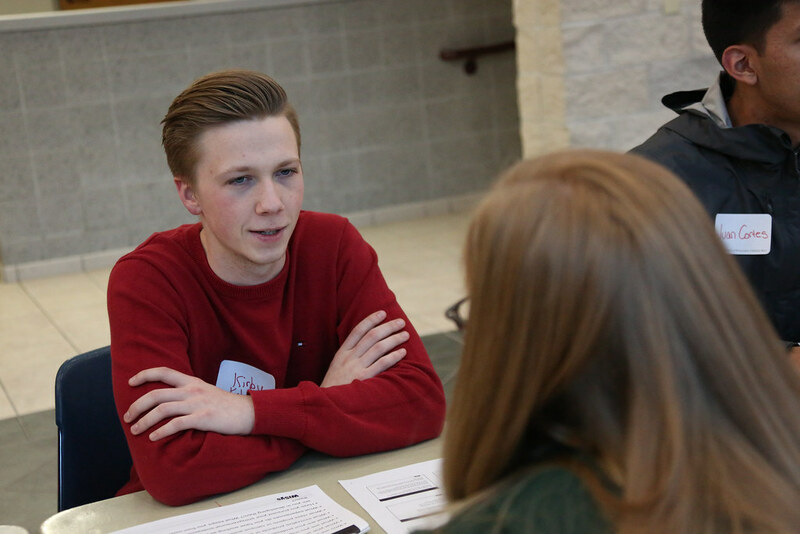 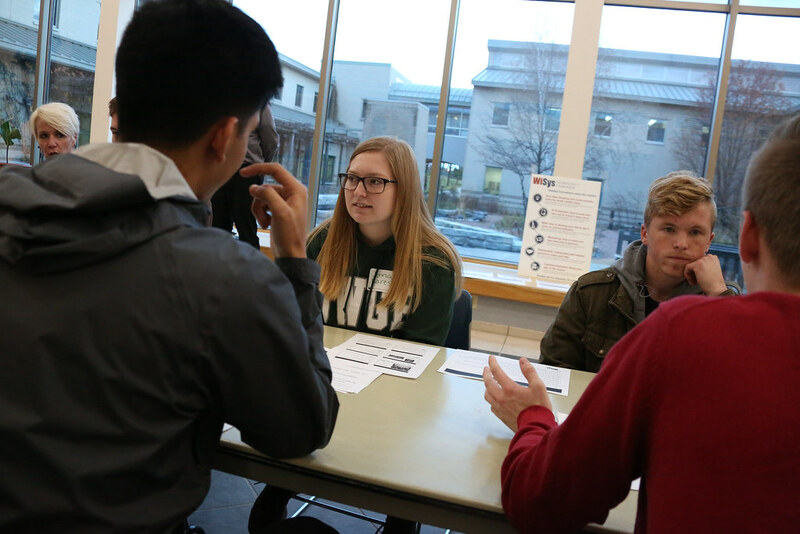 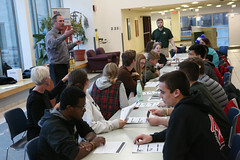 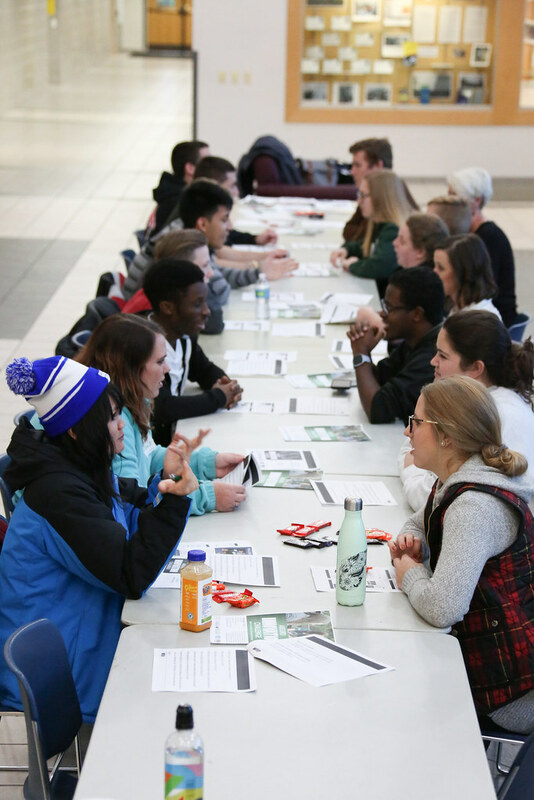 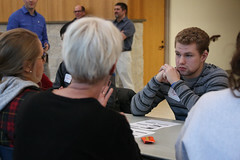 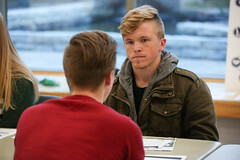 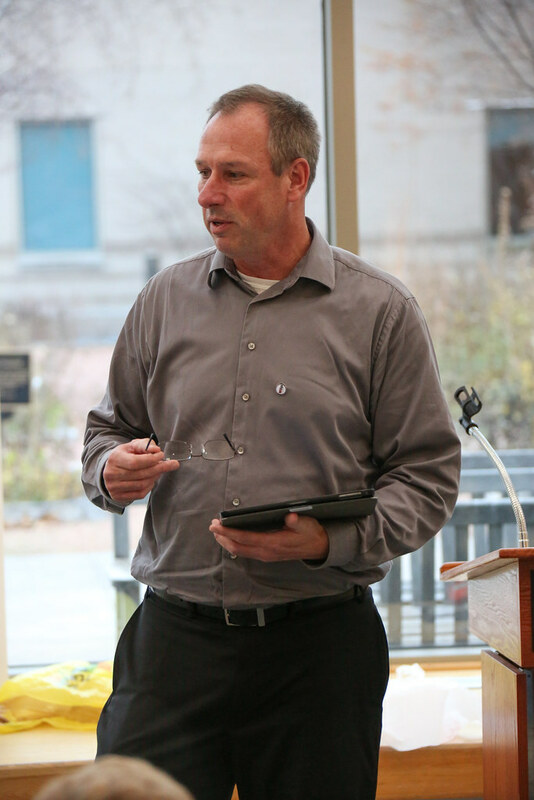 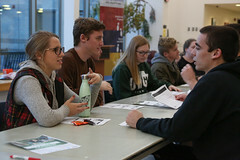 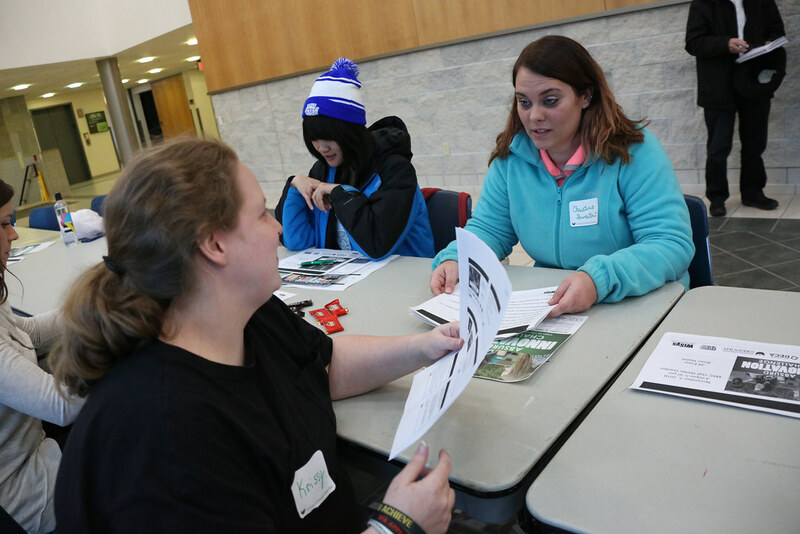 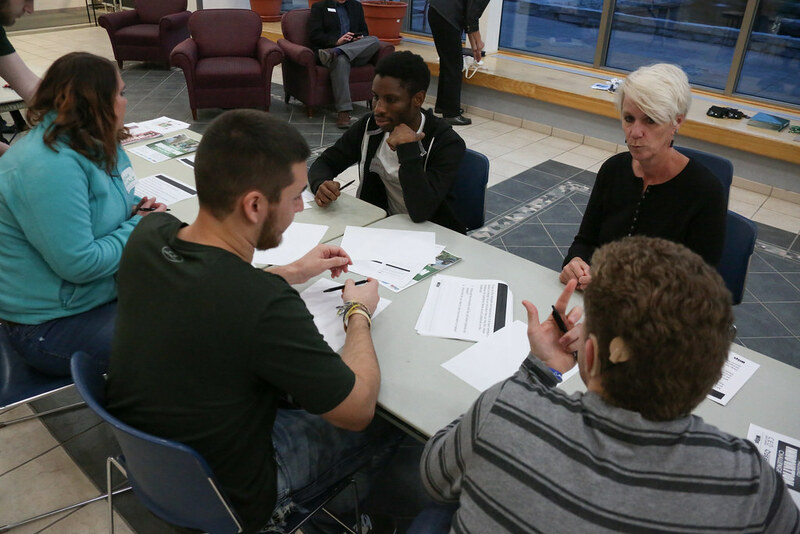 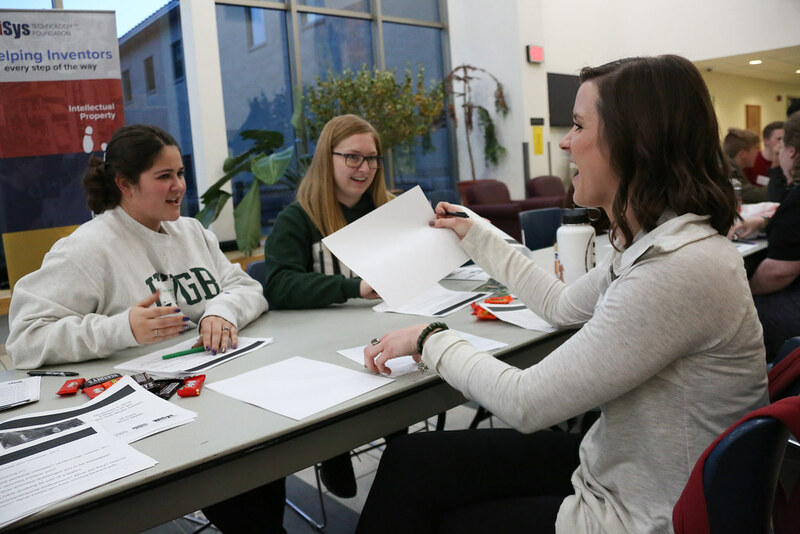 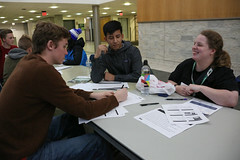 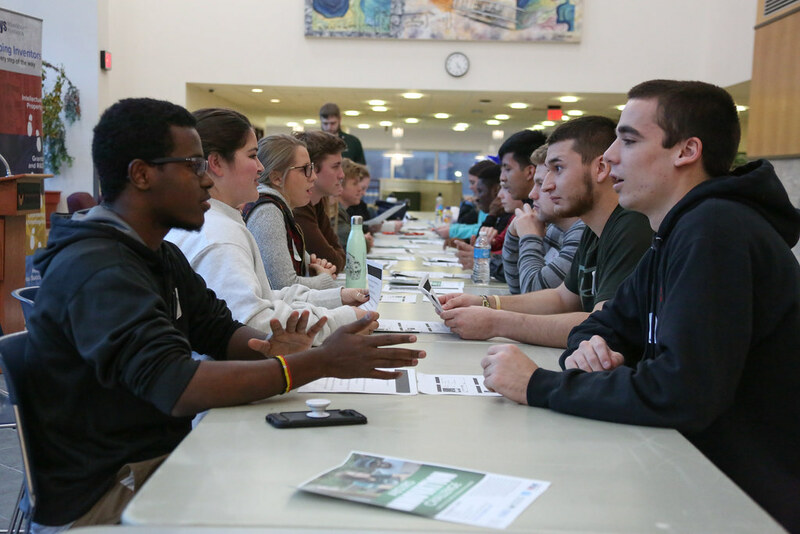 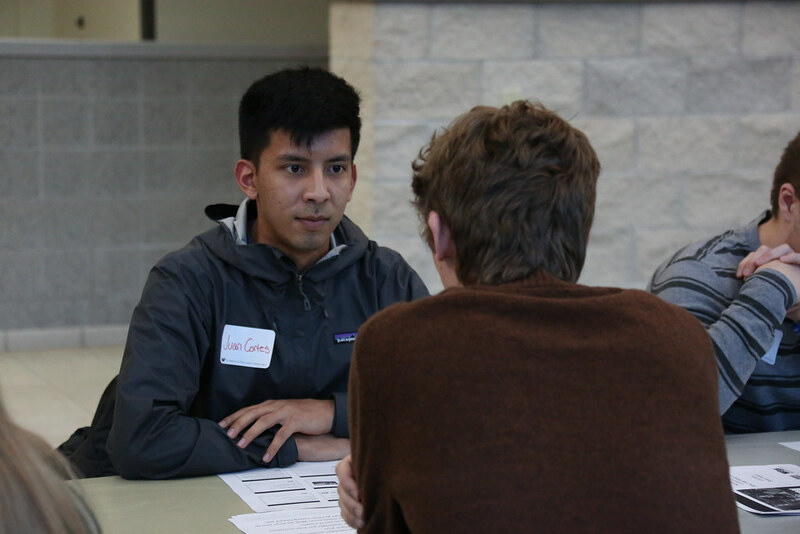 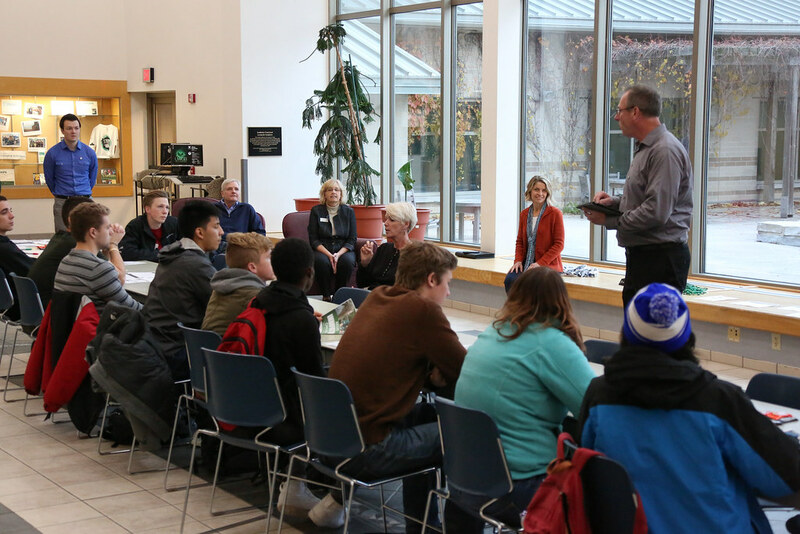 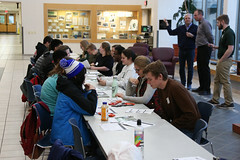 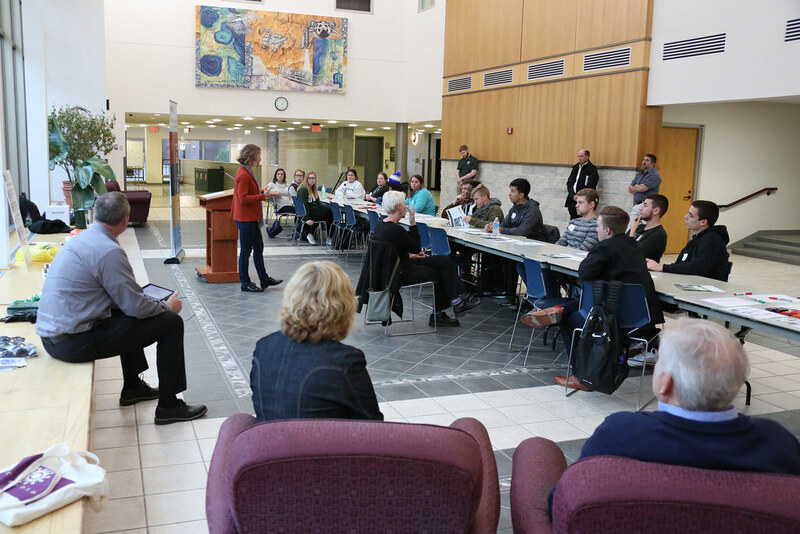 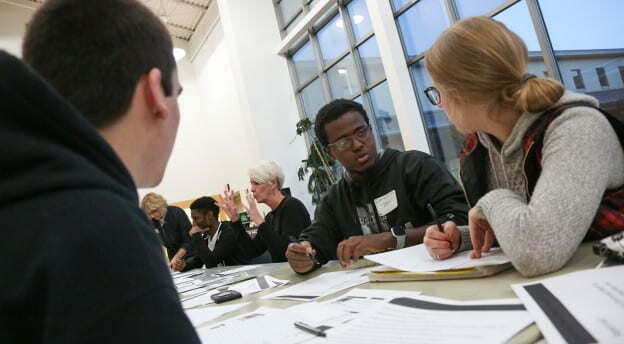 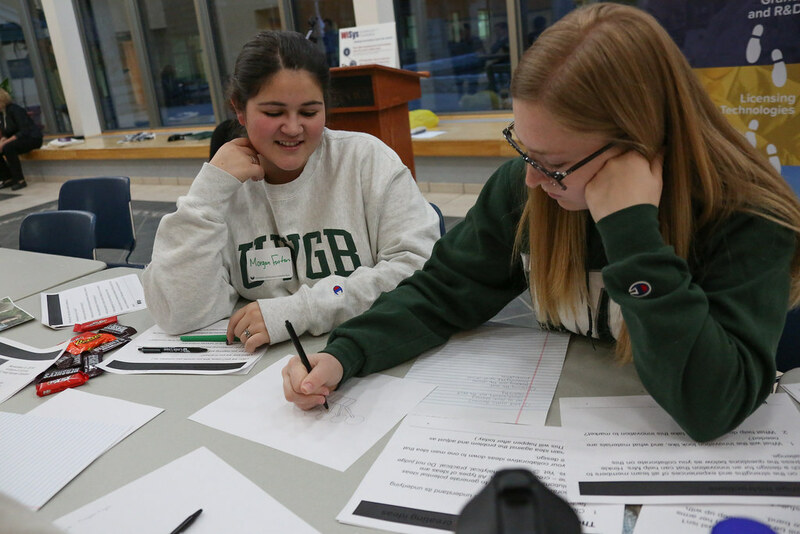 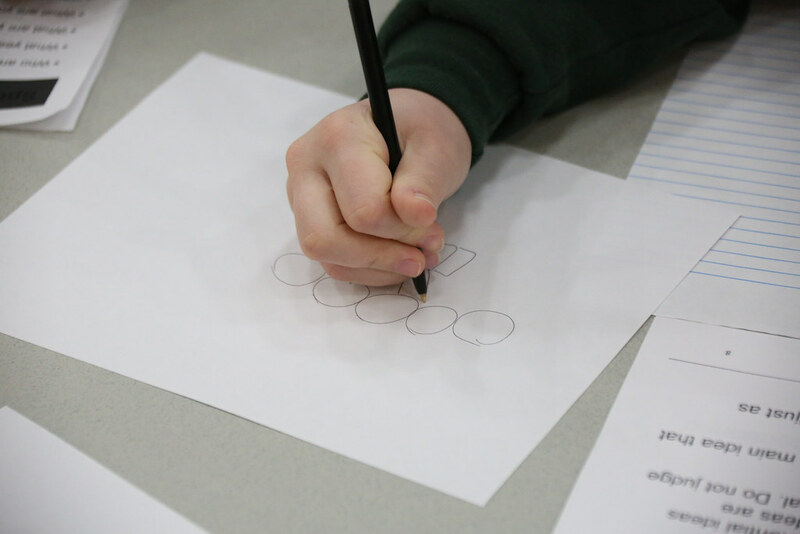 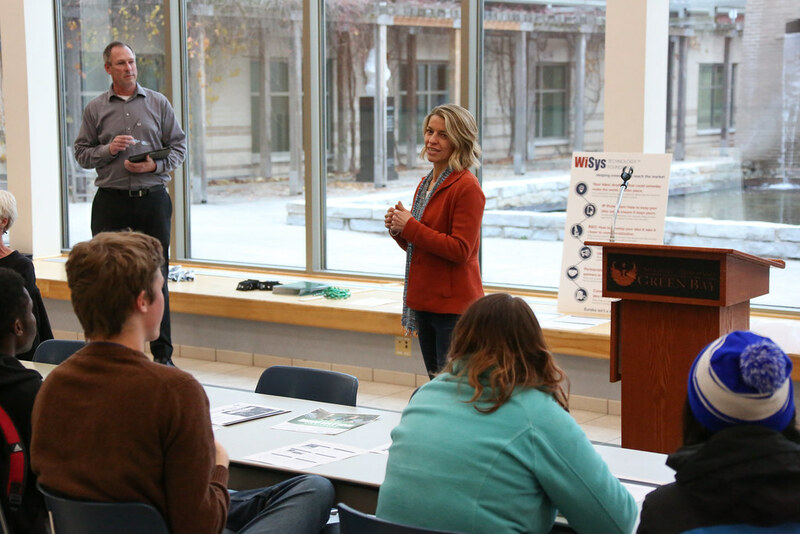 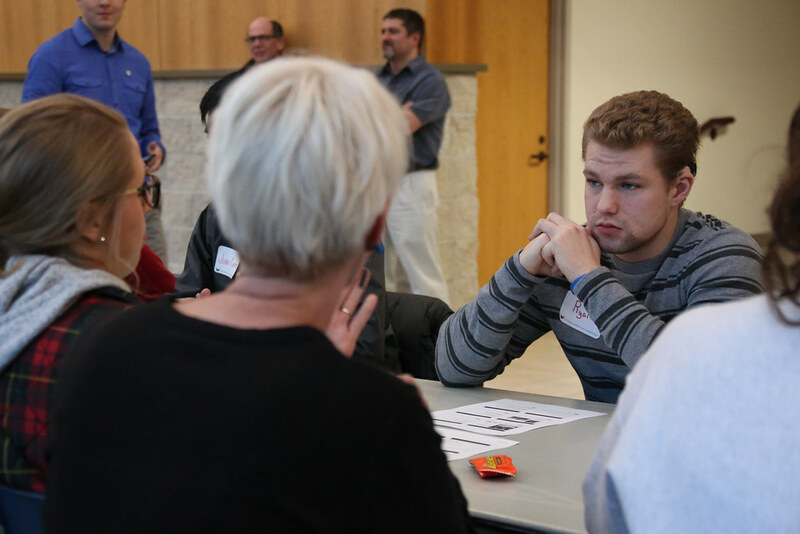 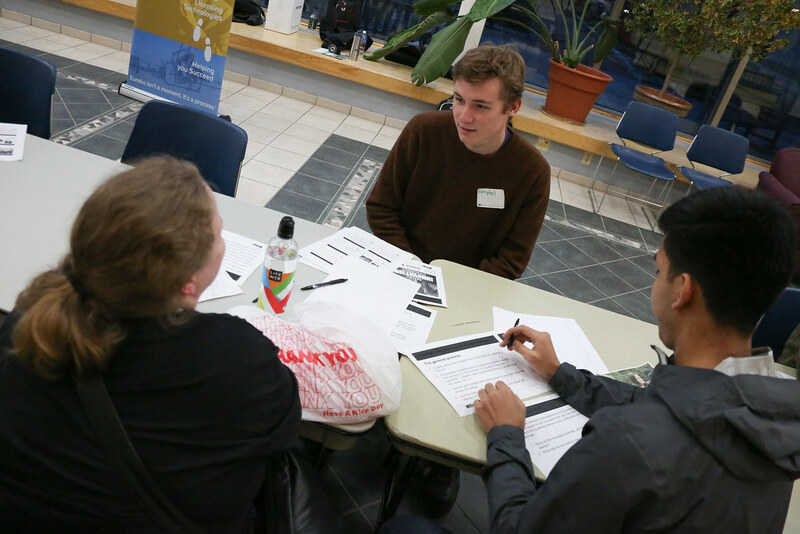 Students also learned about the upcoming third annual “Innovation in Aging Student Idea Competition,” on March 1, 2019 open to students from all four UW-Green Bay campuses. 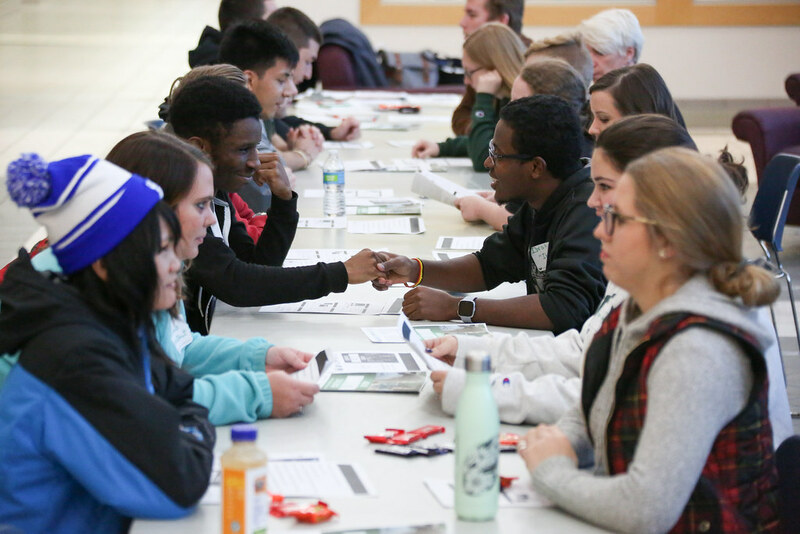 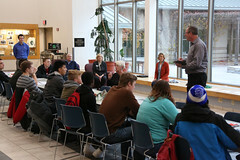 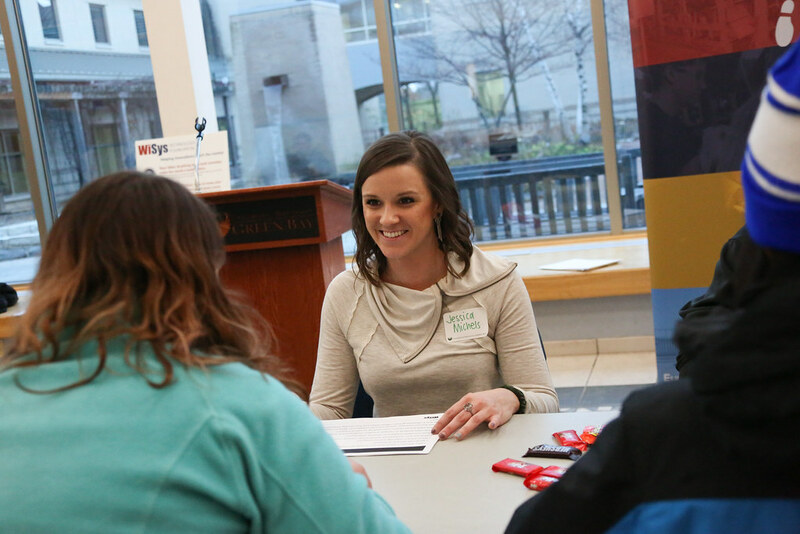 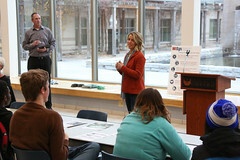 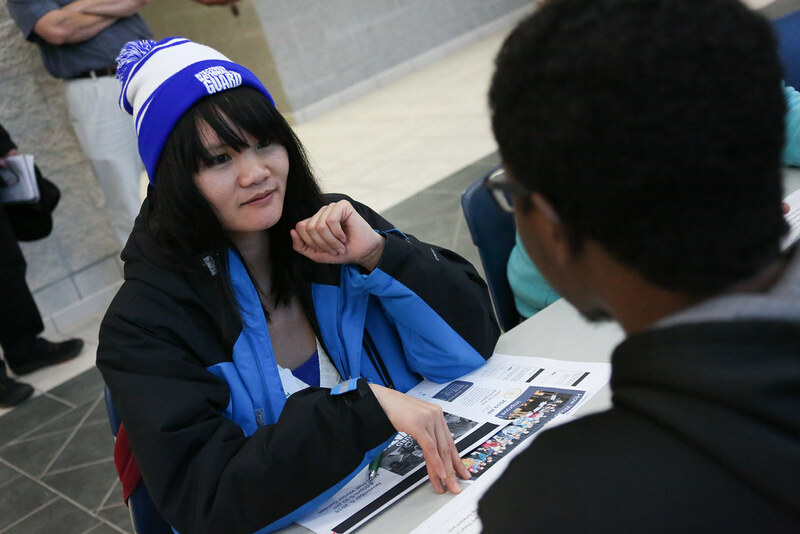 The event was sponsored by UW-Green Bay, WiSys, CEO (Collegiate Entrepreneur Organization) and Collegiate DECA. This entry was posted in News and tagged CAHSS, CHESW, Cofrin School of Business, CSET on November 7, 2018 by Sue Bodilly.